Jon Lovitz: Melissa McCarthy's Sean Spicer sketch "one of the most brilliant I've ever seen"
Larry King: Are some people impossible to do? Hank Azaria: Well somebody’s out of people’s vocal range, I can’t do kids, I can’t do women. Larry King: Is Trump hard? Hank Azaria: [mimics Trump’s voice] No, Trump’s not that hard. He’s not great, but I can do—in order to do it properly, you have to do this. [Puts arm on top of head] You’re fired. Larry, you’re fired. This is Trump’s hair. Hank Azaria: Oh I’m good. Larry King: You like Spanish accents? Larry King: Are you a Sephardic Jew? Hank Azaria: I am a Sephardic Jew. Larry King: You’re not Italian? Larry King: But your name ends in a vowel. Larry King: You’re one of our tribe. 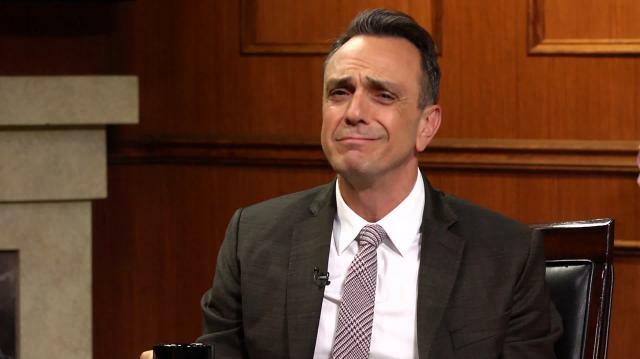 Hank Azaria: I am a kinsman, yes. Larry King: So you don’t do women, you don’t do children. Hank Azaria: In every sense of that. Hank Azaria: [does accent] Don’t get me in trouble Larry. Larry King: What famous celebrity do you do? Give me a couple, like who do you like to do? Hank Azaria: I’m old enough now that most of my pet imitations are old, like [mimics Woody Allen’s voice] Woody Allen for example, you know, this is not a bad Woody Allen, younger Woody Allen, but you know, kids today, they don’t know who the hell this is, and it’s probably for the best. [Mimics Al Pacino’s voice] You know I did some Al Pacino, this is current Al. [Mimics another Al Pacino voice] I like the ‘Dog Day Afternoon,’ ‘Godfather’ Al. In fact, I was doing a version of this in a play, when I got the audition to do Moe the Bartender, and I did this voice, and they said, “Make it gravelly,” and if you make Al Pacino gravelly, [mimics Moe the Bartender’s voice] you get Moe the Bartender. Larry King: All right, do me. Hank Azaria: [Mimics Larry King’s voice] Well Larry, you’re easy to do. You just say a city, and then you greet them. Toledo, Ohio, hello. Very simple.